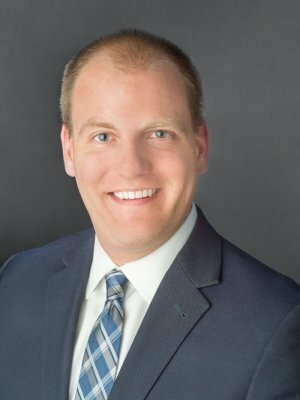 Brian Fritzsche joined Moller Financial Services in 2018 as a financial planner. Prior to his tenure at the firm, he spent over eight years as a financial derivatives trader at DRW Trading Group in Chicago. While at DRW, Brian worked in the trading pits at the Chicago Board of Trade, grew relationships with options brokers, and executed trades electronically. Brian's goal is to enhance clients' understanding, knowledge, and decision-making while facing financial decisions. He focuses on making sure all client needs are met and assists with financial planning and quarterly reporting. Brian strives to provide comprehensive and holistic solutions in order to help prioritize and achieve financial goals. Brian earned a Bachelor of Arts degree in Economics from Stanford University and has held the Chartered Financial Analyst® designation since 2013. He passed the CFP® Certification exam in 2017. Brian lives in Glenview with his wife, Emily, and their 15-pound Alaskan Klee Kai, Madison. He and Emily enjoy traveling, attending concerts, and spending time with both of their families.